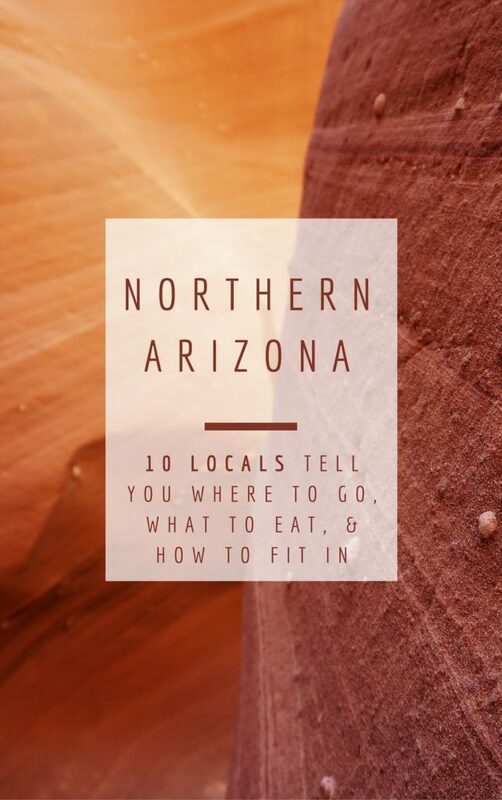 Ask a Local: What Should I Do/See/Eat in Lake Powell, Arizona? I’m the owner of Colorado River Discovery—a rafting company in Page. In my free time, you can often find me exploring the canyons, a place I’ve spent years showing to other travelers. 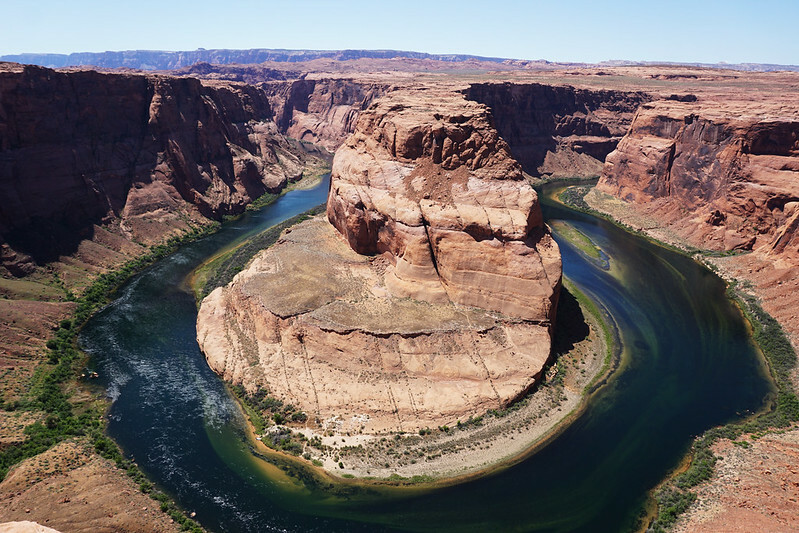 The easily accessible attractions that you must see while visiting Page are as follows: First, Horseshoe Bend: it’s three miles from the center of town to the trailhead and a ¾-mile hike to the overlook. The photos taken here have become the iconic shot of the Colorado River. And I’d be remiss if I didn’t recommend taking a rafting trip on the river itself, through horseshoe bend. My second pick is The Chains—a fishing and swimming spot at Lake Powell that’s a great way to get down to the beautiful waters of the lake without having to go through the marinas. The parking lot is two miles from the center of Page and the walk is between a quarter mile (to the closest portion) up to one mile (to a far more secluded swimming hole). The hike is over the slick sandstone that makes up a majority of Glen Canyon. 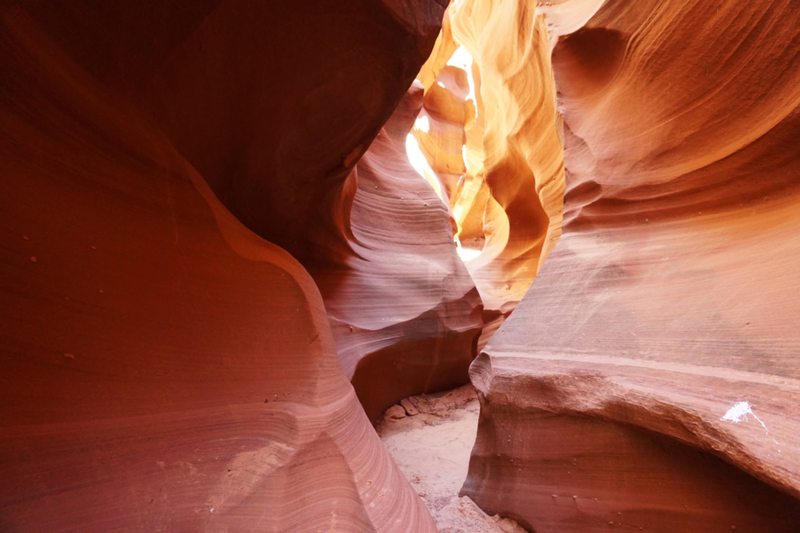 Attractions to think twice about: Antelope Canyon is an incredible corkscrew slot canyon on the Navajo Tribal Land, 15 minutes from the center of Page. This canyon is, by far, the most photographed slot canyon in the world. 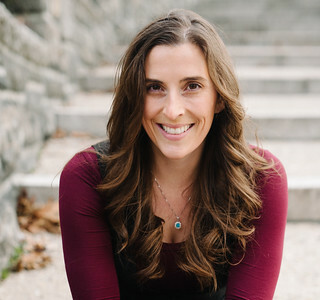 Unfortunately, there are tens of thousands of people that would like to take those same photographs, which generally means a not-so-intimate experience for the individual hikers in what would be a magical place. Instead, consider Owl, Rattlesnake, or Canyon X. 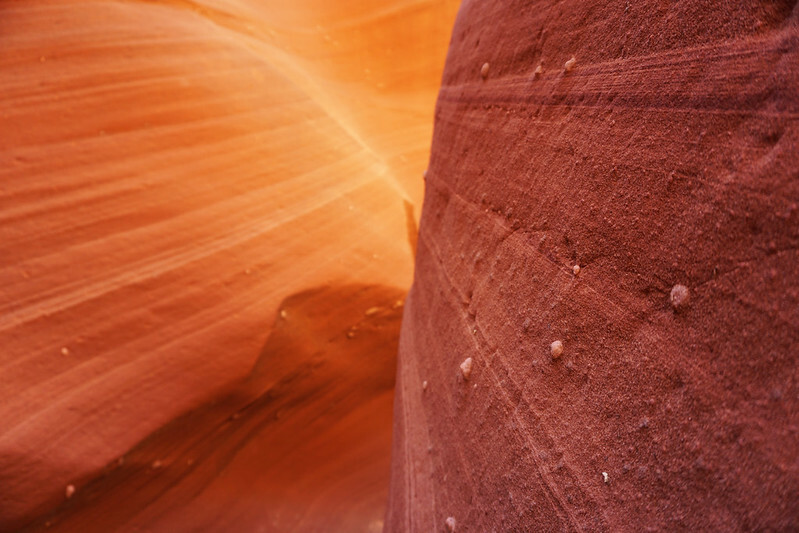 The alternative slot canyons were formed by the same means as Antelope Canyon and you can see them without the big crowds. Rattlesnake, Owl, and Canyon X (as mentioned before) are an intimate slot canyon experience without the crowds. Then there’s Buckskin Gulch, by way of Wirepass, which takes you into the longest slot canyon in the world. This hike can be as long or as short as you would like and takes you through breathtaking scenery, wildlife, and ancient petroglyphs/pictographs from the tribes that lived in the area thousands of years ago. Make sure a check the weather; this slot canyon can very easily flash flood (which is how the canyons formed in the first place). For some of the most incredible overlooks in the region, Alstrom point is a 1.5-hour drive from Page, overlooking Lake Powell. As the crow flies, it is only about four miles from the center of town, but you’ll need to take a 4-wheel-drive road around to the viewpoint. Another spectacular viewpoint is Paria Overlook. This place overlooks Lake Powell to the north and Paria River/Canyon and Lees Ferry to the west. It’s also about 1.5 hours from Page, but is well worth the drive and has primitive camping if you’re interested in an overnight stay. Since Page sits on a mesa (Mason Mesa), there are hotels and vacation rentals that are on or very near the rim. Those offer spectacular views. Lees Ferry is an excellent choice for a day trip from Page. 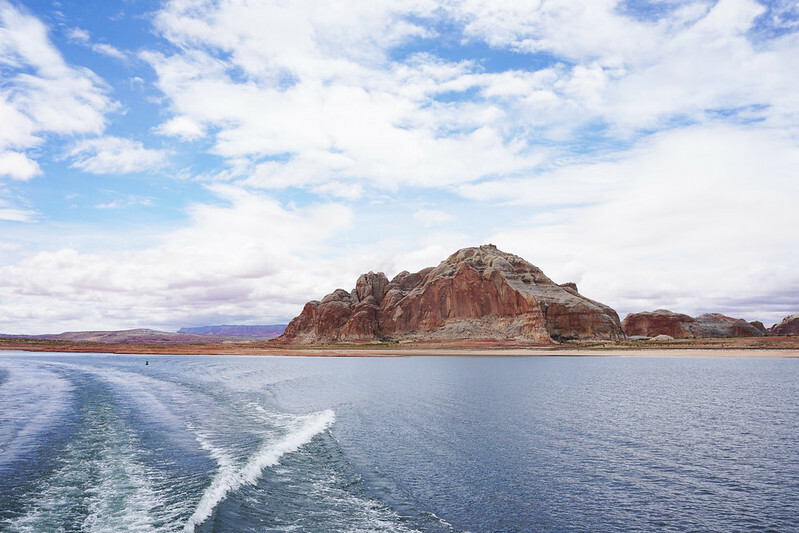 The ferry (which is a boat ramp) is only about an hour from Page and offers an opportunity to view the river at the geological transition from Glen Canyon to Grand Canyon National Park. The nearby Spencer Trail offers a spectacular view of the Colorado River. There is so much human and natural history to view around Lees Ferry and Marble Canyon. The Rim Trail is a must. It’s a 10.5-mile loop around town that overlooks the lake, canyon, and Vermillon Cliffs. The Rim Trail is not very well marked, but if you walk to the rim of the mesa, you will eventually come across a modestly traveled trail. A walker or runner can exit the trail in most areas and be very near the center of town if the 10.5 miles is too long. I like Blue Wine & Coffee Bar and Blue Buddha Sushi Lounge (644 N. Navajo Drive), the floating restaurant Latitude 29 (Wahweap Marina at 100 Lakeshore Drive), State 48 Tavern (614 N. Navajo Drive), and the River’s End Café (130 6th Avenue). Free attractions include Horseshoe Bend, The Chains, Lees Ferry, and Wahweap Overlook. Almost all the restaurants and bars in town are modestly priced. Consider a vacation rental, especially if you have a party of four or more; the hotels in Page are quite expensive March to September each year. Please be extremely conscious of not leaving your mark while visiting any place, especially in natural spaces. Place all trash in proper receptacles, stay on the trails if you are hiking, and do not take anything with you that does not belong to you, even a small pebble. The River’s End Café seems to be the place to meet locals and fellow travelers looking to meet other travelers. Horseshoe Bend, Wahweap Overlook, The Chains, or Lees Ferry. Grab your copy of the guidebook now.